Steve and Piper Sadler with their 1974 Eco Trailer. Photos courtesy of Steve and Piper. It seems pretty idyllic, right? Chucking the responsibilities of the rat race and taking a year (or more) off to unplug. Drive the open roads, camp under the stars and connect with new places and people. But the reality is a little more complicated, as I found out by talking with Utahns who embraced the joys, practicalities and pitfalls of an extended life on the road. “If we get through this without a breakdown, it’ll be a miracle.” So says Patrick Watson, remembering his family’s extended travels covering the continental U.S. and Canada in their 2002 Volkswagen Eurovan. After using the notoriously temperamental vehicle for camping trips and family outings for over two years before the big road trip, Watson enrolled in a AAA super-premium membership. Though they ended up barely using the service, “It was cheap insurance for better peace of mind,” he says of the cost. 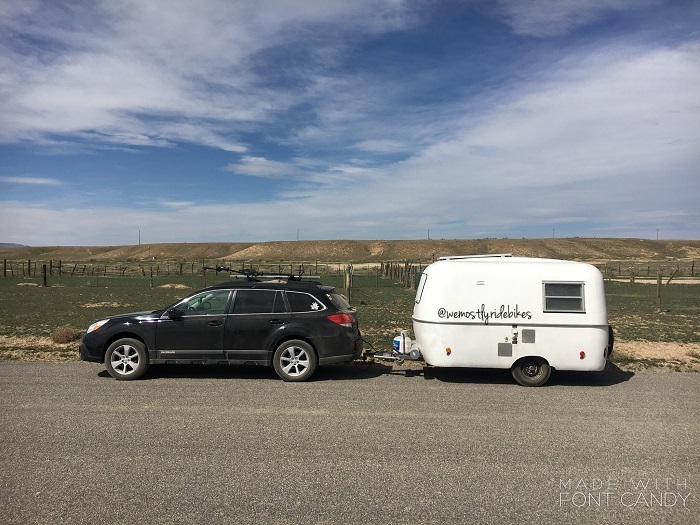 Also long-time road trip dreamers, Piper and Steve Sadler (and their cat, Pan) hit the road in April of this year, choosing the option of towing a small 1974 Eco trailer behind their Subaru Outback instead of buying a van. 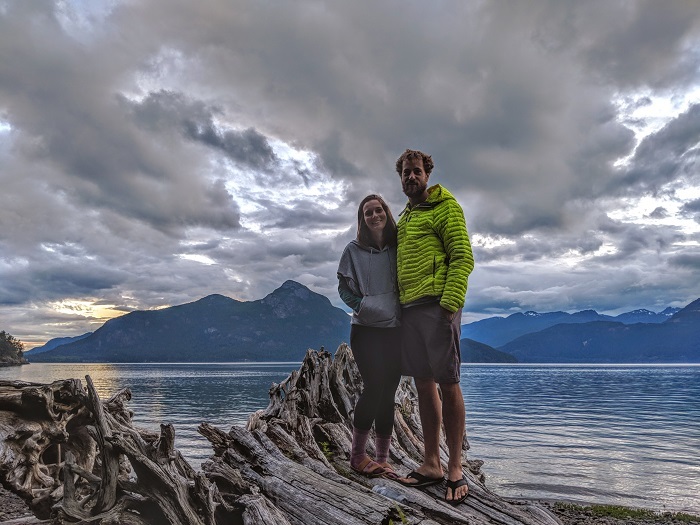 Of their motivation, Piper says “We’re both super money-savvy, and we worked really hard to save up so we could make this happen.” Now in their late 20s, the Sadlers both ride mountain bikes for the HighlinersMTB team, and are timing their trip up North America’s west coast to ride with friends in trail optimal conditions in places like Santa Cruz, California, Bend, Oregon and Squamish, British Columbia. 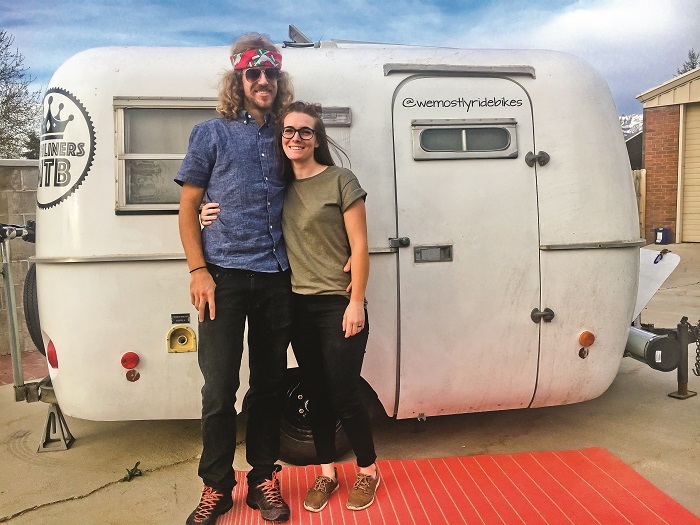 “There’s a huge #vanlife movement that attracts people to the outdoors who might not otherwise get out there,” says Piper of the many people they’ve met along the way. By the time this magazine goes to press, the Sadler’s plan to be in Banff, Canada and on their way to Alaska’s Brooks Range. Follow their adventures through the rest of the year on their website.